Trends in Thermal Shields: Copper or Aluminum? - Meyer Tool & Mfg. ​Trends in Thermal Shields: Copper or Aluminum? In cryogenic applications thermal shields are used to intercept ambient temperature radiation, “shielding” the inner cryogen vessel or instrument from this heat load. Typical applications are to protect helium or hydrogen containers (expensive, low heat of vaporization cryogens) or instrumentation that requires a low heat load to perform. The thermal shield may utilize a low- cost cryogen, typically liquid nitrogen, or the boil-off vapors from the inner container to intercept the ambient radiation. In the USA most thermal shields for terrestrial based cryogenic assemblies have been fabricated from copper. It is relatively easy to join copper sheets together or to a mounting flange by soldering or brazing to achieve good thermal contact. It is also easy to attach copper or stainless steel tubing to achieve an actively cooled copper thermal shield. Copper has a high thermal conductivity, making it possible to achieve a low temperature drop across a thermal shield with a relatively thin shell. Aluminum has also been used to fabricate thermal shields, generally where weight considerations are of overriding importance, such as space based or weather balloon based cryogenic instrumentation. Aluminum has not been as widely used as copper, probably because it cannot be readily joined by soldering or brazing. Aluminum does offer some advantages over copper, particularly if the weight and rigidity of the heat shield are factors. In some nuclear applications, where concerns regarding creating activated material exist, aluminum is preferred. As material prices are once again on the rise, and the price per pound of aluminum is approximately one third that of copper, aluminum may also offer a significant cost advantage when proper fabrication techniques are utilized. Meyer Tool has been fabricating both copper and aluminum thermal shields for decades. Our shields are used in a wide variety of cryogenic equipment, from copper shields in the Distribution Boxes at CERN’s Large Hadron Collider to aluminum shields in infrared astronomy instruments at the South Pole. 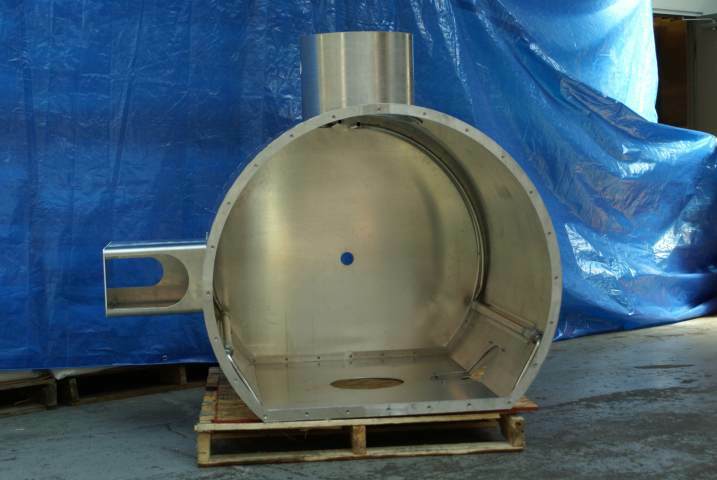 The use of aluminum shields in cryogenic assemblies, where weight or activation considerations are not a factor, is becoming more common as the cost advantages of aluminum become recognized by designers. When considering an aluminum shield the designer needs to understand the differences in both the materials and the fabrication techniques required. Both copper and aluminum are available in a range of different alloys. For each metal, the thermal conductivities of these different alloys are almost indistinguishable at room temperature. However, at low temperatures the thermal conductivities of different alloys diverge widely, with the highest purity alloy offering the highest thermal conductivity. In the case of copper this is C101 "oxygen free electronic" copper, while for aluminum it is alloy 1100. For both metals, cold working introduces lattice defects which make the material harder and also reduce its thermal conductivity. To obtain the highest thermal conductivity the material must be in its annealed state. In the case of aluminum this temper designation is 1100-O. Copper alloys are often described by hardness rather than by heat treatment, with "soft" or "060" designations corresponding to the annealed state. The fact that the same alloy may have a significantly different thermal conductivity in a different temper or after different degrees of cold working can make sorting out the published thermal conductivity data difficult and predicting a heat shields performance uncertain. For that reason materials are often characterized by their Residual Resistance Ratio (RRR), the ratio of electrical resistivity at 273 K to the electrical resistivity at 4.2K.This is useful because there is a close correspondence between electrical and thermal conductivity, and the electrical resistance is easier to measure. 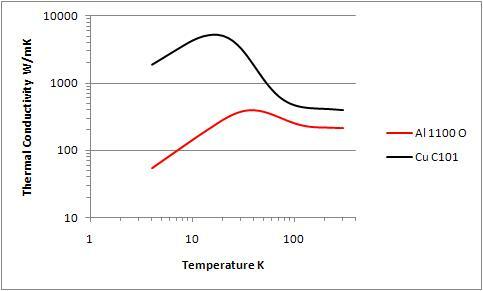 Data from the NIST comparing annealed C101 Copper and 1100-O Aluminum is given in figure 1. An RRR value of 300 has been taken to represent annealed C101 copper. At 4K the thermal conductivity of C101 Copper is about five times that of 1100-O Aluminum. At 80K that difference is about a factor of two. Since the density of copper is about three times that of aluminum, the thermal conductivity per unit weight is roughly the same for these two alloys. Comparing two shells of the same thermal conductivity, the aluminum shell will be thicker and as a consequence stronger and more rigid. Two shells of the same thermal conductivity will also have roughly the same weight, so the lower cost per unit weight of aluminum will make that shield proportionally less expensive. Using material in the soft or annealed state is important if the highest possible thermal conductivity is required at low temperatures for both copper and aluminum. 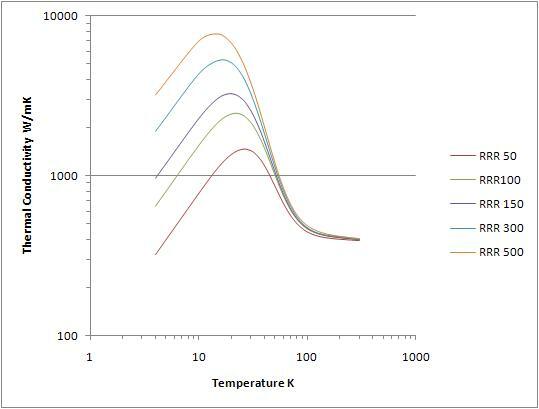 Figure 2 shows the thermal conductivity of C101 copper for a range of RRR values which would correspond to hard and extensively cold-worked copper (RRR 50) and thoroughly annealed C101 copper (RRR 500). The properties of 1100-O aluminum vary in a similar way, but not over as large a range. The variation at 80K, where many heat shields operate, is not large. However, for heat shields operating at 20K to 4K the effect is many orders of magnitude. Soft soldering provides a simple and convenient way of joining copper. The joints have good thermal conductivity and the low temperatures required for soft soldering do not result in severe distortion of copper shells. Brazed or silver soldered joints are mechanically much stronger and also have good thermal conductivity, but the higher temperatures required may cause distortion if proper techniques are not used. Aluminum shields require mechanical or welded joints. (In principle, aluminum can be electroplated with copper or nickel and soft soldered together; however, this is not practical for larger shells.) The heat required for welding an aluminum shell can cause the shell to distort if proper design approaches and appropriate measures are not taken. Welded aluminum joints have excellent thermal and mechanical properties; however, successfully welding aluminum requires considerable skill and practice. At Meyer Tool we have extensive experience in welding aluminum and the fabrication of shields as well as chambers with welded joints. Thermal shields may be actively cooled by mechanical contact with a refrigerator or dewar, or by liquid or gaseous cryogens flowing through tubing. Copper and stainless steel have very similar rates of thermal contraction. However, aluminum contracts at a greater rate than stainless steel. Bellville washers are sometimes used to insure that aluminum joints bolted with stainless steel fasteners stay in good contact. A heat sinking compound such as Apiezon N is helpful for both copper and aluminum joints. When a cryogen liquid or cold gas is to be circulated around a heat shield it is often convenient to solder or braze copper or stainless steel tubing to a copper shield. However, while it is often convenient to join copper to copper by TIG brazing with a BCuP alloy, phosphorous bearing braze alloys will corrode stainless steel and must be avoided in copper to stainless steel joints. BAg alloys may be used to join copper to stainless steel. The corrosive flux used in this process should be carefully cleaned away to avoid leaks developing with time. Aluminum tubing can be welded to an aluminum shield. P or D profile tubing provides an integral flange attached to the tube for this purpose. This helps to avoid cracking or burning through a thin-wall aluminum tube during welding. Stainless steel or aluminum tubing can also be attached to an aluminum heat shield mechanically. 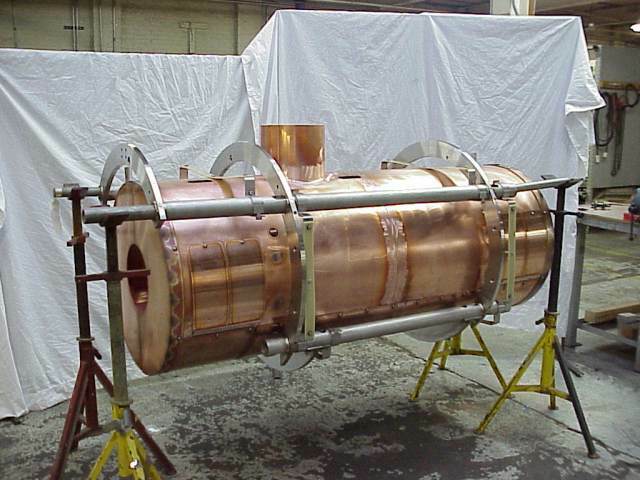 Copper tubing should only be attached to an aluminum heat shield if the assembly is to be kept dry (ideally under vacuum) during its entire service life to avoid galvanic corrosion. Copper thermal shields are fabricated primarily using soft solder or brazing techniques. Aluminum shields are fabricated primarily using welding and mechanical techniques. In many applications, weight and strength issues will favor the use of aluminum for cryogenic heat shields. In applications below 80K, the temper of the material will have a major impact on thermal conductivity for both copper and aluminum. Starting with a well annealed (implying a soft temper) material and minimizing cold working are necessary if the highest possible thermal conductivity is to be obtained. If aluminum and copper heat shields have comparable thermal conductivities, the cost of material for the aluminum shield will be a fraction of that for the copper shield. When proper fabrication techniques are employed aluminum shields have significant cost advantages over copper shields. 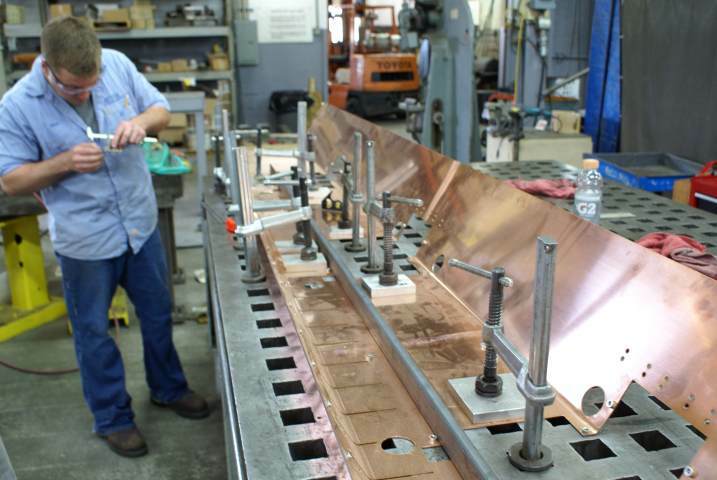 At Meyer Tool we have extensive experience in fabricating heat shields from both copper and aluminum. 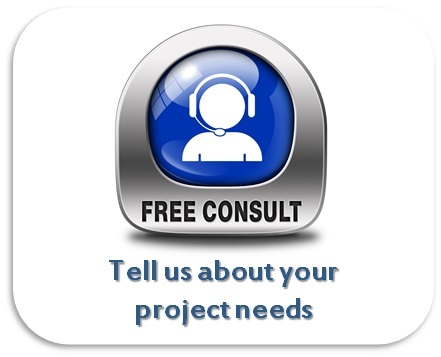 Your next project can benefit from that experience. ​If this article was of interest to you, drop us a line and let us know. 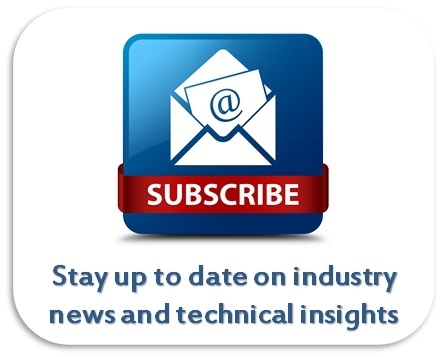 Your feedback will help us determine what type of content you would like to see in our newsletter and posted to the website. Figure 2. Thermal Conductivity of C101 Copper having a range of RRR values. Data from NIST.